Ever since the flash was observed by a U.S. “Vela” satellite orbiting above Earth in September 1979, there’s been speculation that it was produced from a nuclear weapon test by Israel. International researchers in the journal Science & Global Security analyzed previously unpublished results of radiation testing at a U.S. lab of thyroid organs from sheep in southeastern Australia in order to make their determination. Wilson, an epidemiologist and member of the Australia-based Medical Association for the Prevention of War, said the test would have violated the Limited Test Ban Treaty signed in 1963 and urged the United Nations to mount a full inquiry. Thyroid samples from sheep killed in Melbourne were regularly sent to the U.S. for testing—monthly in 1979 but also in the 1950s and 1980s, researchers say. Researcher also said the detection of a “hydroacoustic signal” from underwater listening devices at the time is another piece of evidence pointing to a nuclear test. However, the country's former Knesset Speaker, Avrum Burg, told a conference in 2013 that “Israel has nuclear and chemical weapons” and called for public discussion. 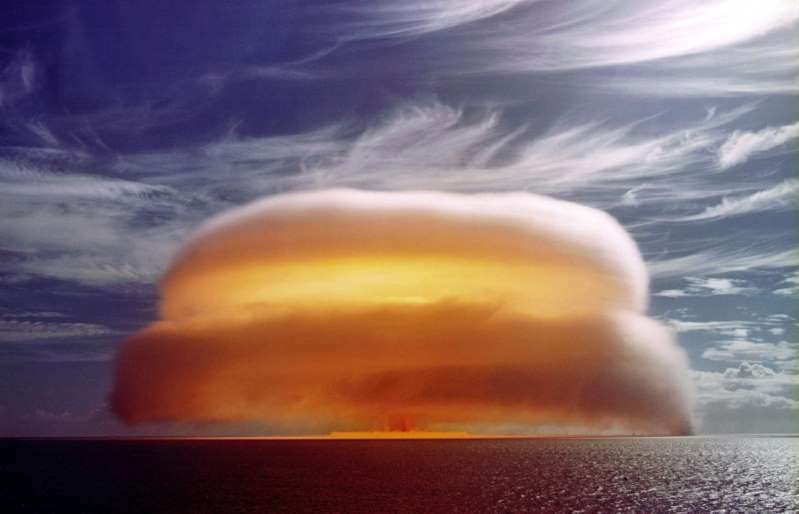 Commenting on the findings, U.S. nuclear weapons expert Leonard Weiss of Stanford University said in the online Bulletin of the Atomic Scientists that the “important” new evidence “removes virtually all doubt” that the flash was a small-yield nuclear explosion.